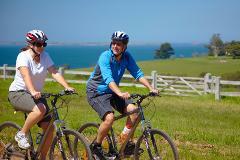 Enjoy the scenic countryside as we cycle our way through the heart of the Yarra valley. 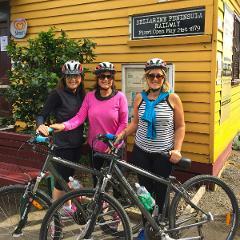 The cycling is easy and very enjoyable along the Warburton Rail Trail. Winery Lunch, wine tasting and visit to brewery, chocolate or cheese factory. 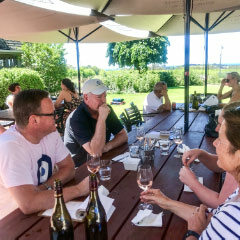 VineTours Guided Food and Wine Cycle Tour starts at Arthurs Seat, Mornington Peninsula and takes past some of the most idyllic scenery you could ever hope to pedal. Cycling is easy along established dirt tracks and is mainly downhill. 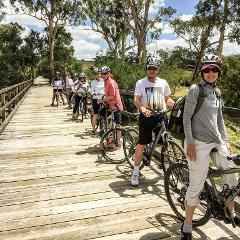 VineTours Self-Guided Cycle tour starts at Arthurs Seat on the Mornington Peninsula and takes you past some of the most idyllic scenery you could ever hope to pedal. Cycling is mostly along dirt tracks and is mainly downhill. 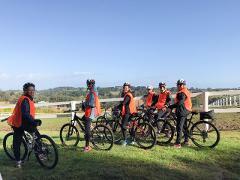 Enjoy a leisurely morning cycle through the beautiful Queenscliff - Bellarine Peninsula passing farms and vineyards as we work our way through the coastal countryside. 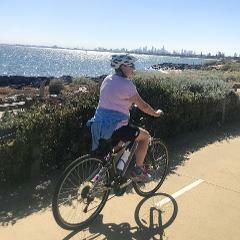 Enjoy a leisurely cycle through the Bayside Beaches of Melbourne. Visit the Urban Villages of St Kilda, Elwood and Brighton. Cycle past iconic Luna Park, St Kilda Pier and Brighton Beach Boxes as well as some amazing beachside homes. Enjoy a leisurely morning cycle through the beautiful Queenscliff - Bellarine Peninsula passing farms and vineyards as you work your way through the coastal countryside.